Do you have a passion for community, equity, and STEM education? Join our GEN READY STEM Coalition team to help us ensure that ALL students in the Baton Rouge area have equal access to career readiness pathways. Come join the GEN READY team! Our VISTAs continue to be an invaluable asset to the work we do to advance STEM throughout our region. So many of the initiative's successes, as well as the improvements and changes we continue to implement, are a direct result of the work accomplished by our VISTA members. Summer STEM Lab 2018 - Over 1,200 visitors to the Lab! Hear from Libby Witte who served the GEN READY STEM Coalition last year. AmeriCorps VISTA members live and serve in some of our nation's poorest urban and rural areas. With passion, commitment, and hard work, they create or expand programs designed to bring individuals and communities out of poverty. In addition to receiving a living stipend, VISTAs are awarded an education grant at the end of their service term. 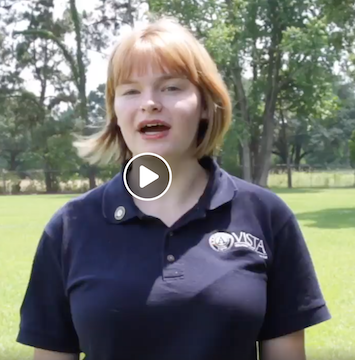 Want to learn more about becoming a VISTA? 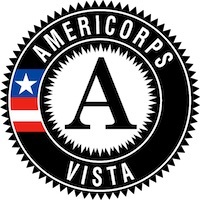 Visit the AmeriCorps VISTA FAQ page. Living Allowance: Receive a modest living allowance to cover basic expenses ($1,026 per month, additional funds for VISTA Leader). If travel is required to visit school sites or meetings in the community, mileage reimbursement is provided. Relocation Allowance: If you move 50+ miles from your home to a new community, you receive relocation travel assistance and a settling-in allowance. Healthcare Benefit: Choose between reimbursement for healthcare or a healthcare plan. Dental and vision are also included. Non-Competitive Eligibility (NCE): NCE is a unique hiring path which makes it easier for federal agencies to hire you. Child Care: You may be eligible to receive a child care benefit if you have children under the age of 13. End of Service Benefit: A choice between either AmeriCorps Segal "Education Award" (valued at $5,920.00 for education expenses) or a Cash Stipend of $1,800.